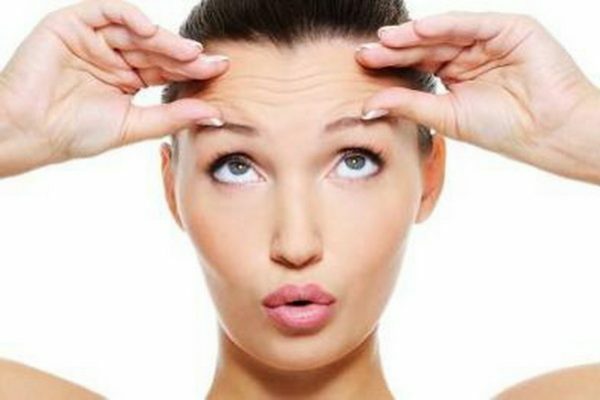 Believe it or not fine lines and wrinkles ARE NOT inevitable! Skin experts believe that most skin damage can be prevented with some special care, here are 10 tips to keep in mind, no matter what age you are. The single biggest cause of skin ageing is sunlight. You should use a sunscreen every day because of the ageing effects of the sun are as prevalent during the winter months as in the summer. This will help prevent your skin from ageing prematurely, and will guard against sunburn. Cigarette smoke speeds up the ageing process as it strips your skin of oxygen and slows down the regeneration of new cells. It can give the skin a grey, sluggish look, and cause fine lines around the mouth because heavy smokers are constantly pursing their lips to draw on a cigarette. Many older women don’t cleanse their skin as thoroughly as they should, believing this can lead to dryness and more lines. However, it is essential to ensure your skin is clear of dead skin cells, dirt and make-up so your toner and moisturiser can properly do their job providing you a youthful, fresh glow. If however, your skin is extremely dry, remove your makeup with an oily cleanser. As well as using your daily moisturiser, you can also boost your skin’s moisture levels on a weekly basis by using a facemask. Whatever type of mask you choose, apply it to damp skin and leave it on your skin for 5 -10 minutes, then remove the excess with a dampened face cloth. Buy a gentle facial scrub or exfoliator and use once a week to keep the surface of your skin soft and smooth. This increases the blood flow to the top layers of the skin, and encourages cell renewal, plus it removed dead skin cells so the rest of your skin care products are easily absorbed. Existing lines can be minimised to the naked eye by opting for the latest light reflecting foundations, concealers and powders. These products contain luminescent particles to bounce light away from your skin, making lines less noticeable and giving your skin a wonderful luminosity. As well as your daily skincare routine, it is extremely beneficial to treat your skin to some extra “TLC” with a professional facial (every change of season is recommended). Extremes of cold and hot weather can strip your skin of essential moisture, leaving it dry and more prone to damage. Air conditioning and central heating can have the same drying effects. To help counteract dryness ensure that you use a few drops of serum under your morning and evening moisturiser each day. Be careful not to drag at your skin when applying your makeup or skincare products. The skin around your eyes is particularly fragile and more likely to show the signs of ageing first. A heavy handed touch may stretch the skin, so always use a light touch and take your strokes upwards rather than drag the skin downward. Skincare benefits aren’t just limited to skincare products. In fact, many make-up products now contain UV filters and skin-nourishing ingredients to treat your skin as well as superficially improve its appearance. You may need to change your skin care products according to the season? You might need a more oilier product in winter and a lighter formula during the summer months. Pay attention to what your skin is trying to tell you!